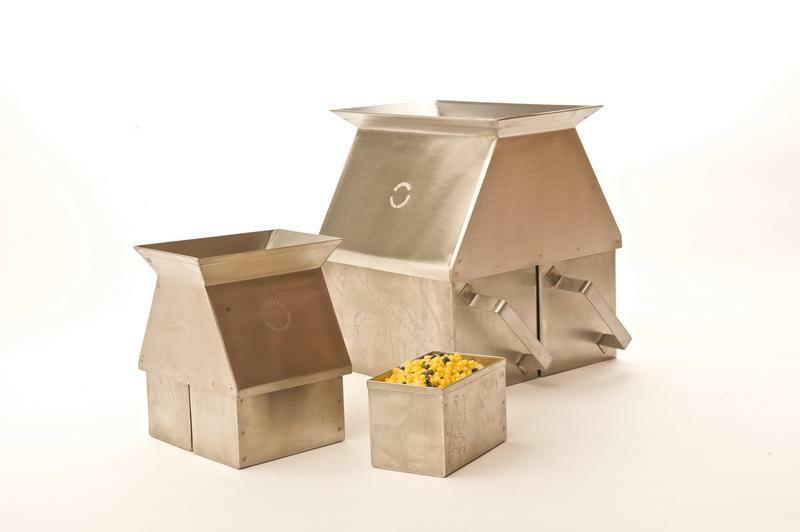 These hand held sample dividers will subdivide material samples into smaller portions by single or multiple passes. The important feature of Endecotts sample dividers is that each subdivision retains the characteristics of the original sample. Stainless steel with slot widths 6.35 mm (¼") or 12.7 mm (½"). Ideal for free flowing powders. 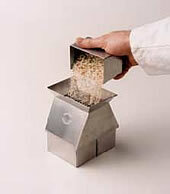 Suitable for use with powder chemicals, food stuff, feed and similar granular material. Splits sample to analytical proportions. Characteristics of original sample maintained. Weight of Unit 1 kg approx. Weight of Unit 3 kg approx.